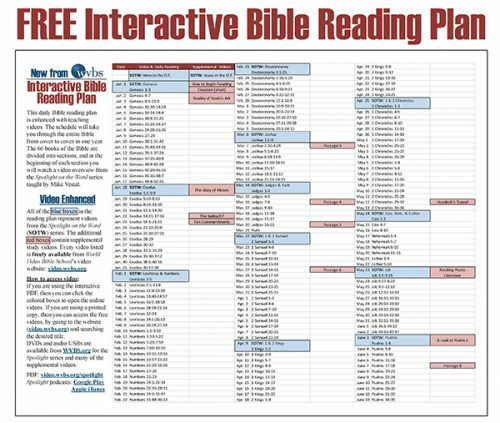 The Bible contains a great deal of information to help us learn how nations should conduct themselves and are impacted by the moral allowances that are made. What is America's status in regards to the national morality? Who today would believe that the Founders asked God to forgive Americans for their sin, and requested that God establish American independence on Christianity? Follow along as Dr. Dave Miller discusses the examples through the Old and New Testaments of nations and the effects of their choices. Is America in trouble? A large portion of America's population believes there are major concerns for the nation. 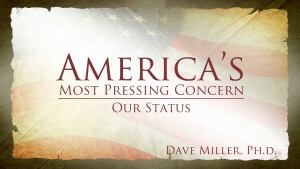 What is America's most pressing concern? Is it the economy, terrorism, illegal immigration, crime, or the energy crisis? The critical concern America must address is what the Founding Fathers affirmed: The citizenship needs to acknowledge God and Christianity. What do you consider to be America's most pressing concern? The supreme issue is what affects the ultimate blessing for the nation. Who today would believe that the founders acknowledged Jesus Christ as “our gracious Redeemer”? Did you know that the Founding Fathers affirmed the critical importance of the Bible to the people, and beseeched God to spread Christianity throughout the Earth. Follow along as Dr. Dave Miller presents the Founders' view from their public proclamations through the Continental Congress. If you wanted to look into the very hearts of the Founding Fathers, you need to listen to the 15 proclamations made by the Continental Congress. Who today would believe that the Founders asked God to forgive Americans for their sin and urged Americans to keep all of God’s laws? Follow along as Dr. Dave Miller presents portions from these proclamations, which show the priority and concern these leaders had for the citizens. Fifteen public proclamations were made by the Continental Congress during the turbulent years of America's Revolutionary War. The final proclamation provides a fitting closure to this conflict. In this last public message the Founders credited God with America's military success and the national prosperity they were beginning to experience. The congress urged the citizens to praise and give gratitude to the God of Christianity. Follow along as Dr. Dave Miller provides selected passages for you to hear the thoughts of our forefathers. When you look at the public proclamations of the Founding Fathers, it is unmistakable to see and hear their pleadings for Christianity to be the foundation of the American civilization. How does this belief coincide with the existence of slavery in the early years of America? What did the Founding Fathers say and believe about slavery? Follow along as Dr. Dave Miller shows historical evidence that the majority of Founders were opposed to slavery and wanted to find means of fighting the existing slave trade. 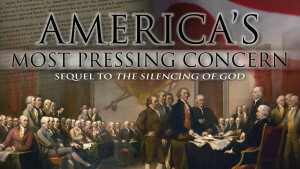 From the historical documents of the Founding Fathers, it is evident that these men desired Christianity and a faith in God to be the foundation of the American civilization. However, many have claimed that the Founders were Deists. Did they believe that God created the world, but takes no further action or provide any special revelation for mankind? Follow along as Dr. Dave Miller allows the Founders' own writings, including Benjamin Franklin, Thomas Jefferson, Thomas Paine, and Ethan Allen, to demonstrate their firm beliefs in God's providential care and the supernatural revealing of His will through the Bible. The hope for America's future and its national existence rely on how the nation and citizenship choose good, moral behavior. The Founders urged Americans to keep all of God’s laws, and considered Christianity to be the foundation of national happiness. Follow along as Dr. Dave Miller urges us to be faithful to Christ, be benevolent, evangelistic and focused on returning to God's will.